Delightfully Boring - Snow Potential Increases Next Week - A Numbing New Year? Commuters and shop owners are relieved. Snow lovers aren't feeling the love. Bare ground - on Christmas - in Minnesota? It feels unnatural. No sweet layers of white frosting for Santa? Probably not this year. Our snowiest Christmas on record came in 1945, when 11.3 inches fell December 24-25. According to the MN DNR: "The Twin Cities was partially paralyzed. Streets and sidewalks were blocked by huge drifts and walking was very difficult." Right. If anyone asks, our last "brown Christmas" was 2014 and 2015. Looking at 108 years of data only 1 in 4 December 25ths were brown, with less than an inch on the ground. Models are hinting at a Christmas Day coating of snow, but most of the moisture slides to our south. ECMWF shows a more formidable storm next Thursday, the 27th, but it's much too early for details. High confidence prediction: temperatures run above average for the next 9 days, followed by a colder slap the last few days of 2018. In all probability, 2019 will start off seasonably cold. Not frigid or polar, but a blunt reminder that, yes, January is our coldest month. 10-Day Snowfall Potential. The map above shows total accumulated snow looking out through early Friday morning, December 28, so buyer beware. ECMWF hints at a few sloppy inches of wet snow next Wednesday night and Thursday across the Upper Midwest. We're due. Map credit: WeatherBell. Colder Start to the New Year? The latest 2-week 500mb wind solution from NOAA's GS model brings a more formidable swipe of Canadian air into the Upper Midwest, Great Lakes and New England right around New Year's Day. It would be premature to celebrate an early spring. Are You Dreaming of a White Christmas? At least this year - dream on. Here's an excerpt of a post at NOAA: "Minnesota. Maine. Upstate New York. The Allegheny Mountains of Pennsylvania and West Virginia. Practically anywhere in Idaho. And of course, the Rockies or the Sierra Nevada Mountains. These are the parts of the Lower 48* where weather history suggests you want to be if you're looking for the best chance of a white Christmas. The map at right shows the historic probability of there being at least 1 inch of snow on the ground in the Lower 48 states on December 25 based on the latest (1981-2010) U.S. Climate Normals from NOAA's National Centers for Environmental Information (NCEI). The background map shows interpolated values for all locations..."
White Christmas Calculator. This is pretty cool - just plug in your town and you get updated odds, courtesy of Omni. Warm Pacific Ocean, But No Corresponding Change in Weather & Climate Patterns. El Nino in the Pacific is not "coupled", according to Australia's Bureau of Meteorology: "...The term El Niño–Southern Oscillation refers to the interaction between the tropical Pacific Ocean ("El Niño") and its overlying atmosphere ("Southern Oscillation"), which together produce a global influence on weather and climate. While tropical Pacific sea surface temperatures (SSTs) are currently at El Niño levels, atmospheric indicators—such as cloudiness, pressure patterns, the Southern Oscillation Index (SOI) and trade winds—have generally remained neutral. This means that the ocean and atmosphere are not reinforcing each other, known as coupling. It is this coupling that defines and sustains an ENSO event, and results in widespread shifts in global weather and climate..."
Negative Phase of Arctic Oscillation? (AO). The meteorological rumor-machine is heating up with talk of an imminent negative phase of the AO, which often corresponds with lighter jet stream winds and arctic air making deeper incursions into the USA. I've seen some of the posts about sudden stratospheric warming after the New Year driving a January cold wave. It wouldn't shock me, but I'm not quite convinced yet. The latest NOAA AO forecast is above; here's an explainer: "The Arctic Oscillation (AO) is a large scale mode of climate variability, also referred to as the Northern Hemisphere annular mode. The AO is a climate pattern characterized by winds circulating counterclockwise around the Arctic at around 55°N latitude. When the AO is in its positive phase, a ring of strong winds circulating around the North Pole acts to confine colder air across polar regions. This belt of winds becomes weaker and more distorted in the negative phase of the AO, which allows an easier southward penetration of colder, arctic airmasses and increased storminess into the mid-latitudes..."
Historic Rainfall Drowns Northeast, Threatens Southeast Areas Battered by Florence. Here's an excerpt of a very wet summary from USA TODAY: "The latest round of persistent rain drenching the soggy East has triggered another annual record and brought fears of more flooding to the battered Carolinas. Washington's Reagan National Airport recorded more than 3 inches of rain since it began raining Friday. That pushed the annual total to more than 61.5 inches, breaking the record of 61.33 inches set in 1889, said Alan Reppert, senior meteorologist at AccuWeather. Charleston, West Virginia, broke a record set in 2003, totaling 63.29 inches. Baltimore, swamped by more than 2.8 inches of rain, tallied more than 68 inches for the year. The city had already broken its annual record set 15 years ago..."
2018 Precipitation Departures, To Date. Parts of southern MInnesota, southern Wisconsin and northern Iowa have picked up more than 15" more than "average precipitation" so far this year, according to Greg Carbin at NOAA. New Evidence Shows Tornadoes Don't Always Form the Way Scientists Have Always Thought. Actually, it's been suspected for some time that tornadoes are not "objects", but rather a process, with rotation spinning up close to ground level and working it's way up. More clarity in a post at Science Alert: "...Data sets from the three other tornadoes showed similar patterns, although the 2011 El Reno tornado showed rotation at a multiple different elevations simultaneously. That indicates that there may be different modes of tornadogenesis, but even so, it did not start in the sky and work its way down. "It appears that in many cases," the team wrote in their abstract, "tornadic-strength rotation develops either at near-ground levels first, or contemporaneously throughout the depth of the tornado-bearing layer." Of course, four is a pretty small sample size, considering that an average of more than 1,000 tornadoes is recorded in the US every year..."
Hurricane Harvey Report Seeks to "Future-Proof" Texas from Climate Change Without Saying So Directly. Dallas News reports: "To protect itself from the next major hurricane, Texas will have to build storm-surge barriers, shore up wetlands, buy out residents who live in vulnerable areas, rethink development plans and raise the first floors of existing buildings, suggests a sweeping report prepared for Gov. Greg Abbott and released Thursday. The recommendations come from Abbott's Commission to Rebuild Texas, led by Texas A&M Chancellor John Sharp. In September 2017, in the aftermath of Hurricane Harvey, Abbott charged Sharp with the task of rebuilding Texas "ahead of schedule, under budget and with a friendly smile." The report calls Harvey a warning that should not be ignored..."
August 25, 2017 file image: NOAA and AerisWeather. 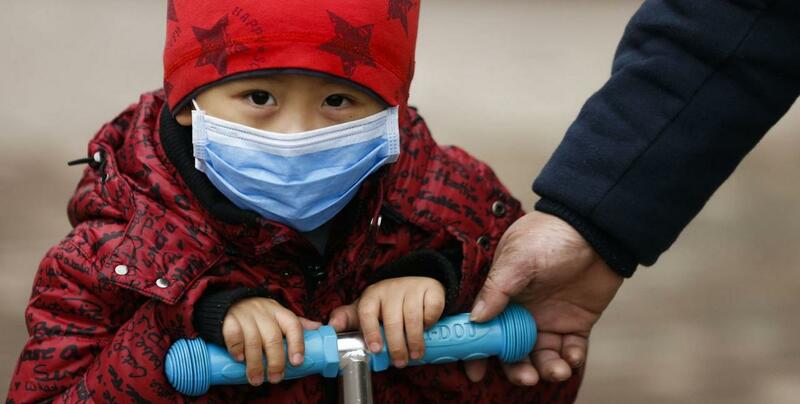 Deadly Air Pollution Shortens Lives By Nearly 2 Years. A story highlighted at emergencyemail.org caught my eye: "Air pollution, caused largely by burning fossil fuels, is cutting global life expectancy by an average of 1.8 years per person, making it the world's top killer, researchers said on Monday. The tiny particles ingested from polluted air shorten life more than first-hand cigarette smoke, which can reduce it by 1.6 years, and are more dangerous than other public health threats such as war and HIV/AIDS, they said. The University of Chicago's Air Quality Life Index (AQLI) shows people in parts of India, the world's second-largest country by population, could live 11 years less due to high levels of air pollution. Life expectancy averages slightly below 69 in the South Asian nation of 1.3 billion, according to the World Bank..."
Why 536 Was "The Worst Year to be Alive". If you say so, but this comes from Science Magazine; here's an excerpt: "...A mysterious fog plunged Europe, the Middle East, and parts of Asia into darkness, day and night—for 18 months. "For the sun gave forth its light without brightness, like the moon, during the whole year," wrote Byzantine historian Procopius. Temperatures in the summer of 536 fell 1.5°C to 2.5°C, initiating the coldest decade in the past 2300 years. Snow fell that summer in China; crops failed; people starved. The Irish chronicles record "a failure of bread from the years 536–539." Then, in 541, bubonic plague struck the Roman port of Pelusium, in Egypt. What came to be called the Plague of Justinian spread rapidly, wiping out one-third to one-half of the population of the eastern Roman Empire and hastening its collapse, McCormick says..."
Photo credit: "An 72-meter ice core drilled in the Colle Gnifetti Glacier in the Swiss Alps entombs more than 2000 years of fallout from volcanoes, storms, and human pollution." NICOLE SPAULDING/CCI FROM C. P. LOVELUCK ET AL., ANTIQUITY 10.15184, 4, 2018. GE Powered the American Century. Then It Burned Out. The Wall Street Journal documents the rise and fall of a General Electric; here's an excerpt: "...At its peak, General Electric was the most valuable company in the U.S., worth nearly $600 billion in August 2000. That year, GE’s third of a million employees operated 150 factories in the U.S., and another 176 in 34 other countries. Its pension plan covered 485,000 people. With nearly 10 billion shares outstanding, GE was also among the most widely owned stocks. The company paid dividends to more than 600,000 accounts, from individual investors to major mutual funds that served millions. GE had moved in and out of businesses since 1892: airplane engines, plastics, cannons, computers, MRI machines, oil-field drill bits, water-desalination units, television shows, movies, credit cards and insurance. The big machines were always GE’s beating heart. 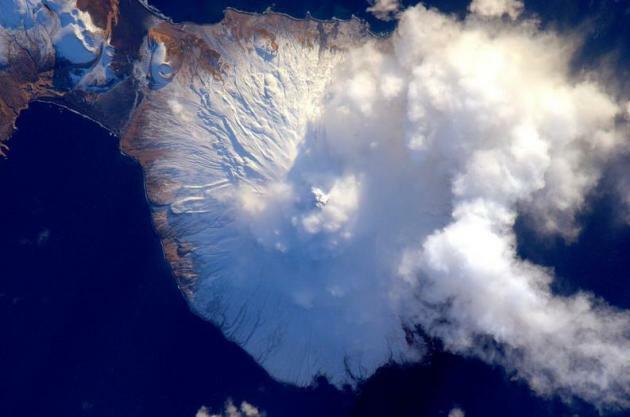 But it was a willingness to expand into growing businesses and shed weaker ones that helped make it the rare conglomerate to survive the mass extinction of its rivals..."
Image credit: NASA and Alex Cherney (Terrastro, TWAN). In-The-Sky.org has details on where you can see the comet from your location. Package Thief Vs. Glitter Bomb Track. This guy is my hero. Sick of having packages stolen from your front porch? Check out what this guy did in a suburb of Chicago. Brilliant. 11 minute YouTube clip here. If you need a laugh - check it out. Americans Show Growing Support for Climate-Change Policies, Poll Says. The Wall Street Journal has details: "...Some 66% of poll respondents said some action was needed to address climate change, about the same share as in several past Journal/NBC surveys. The 45% share calling for immediate action was the highest since the survey began asking the question in 1999 and compares with 39% who supported immediate action in 2017. The urgency of the issue is viewed differently within each political party. Seventy-one percent of Democrats and 48% of independents see combating climate change as an immediate concern, while only 15% of Republicans do—the same share of Republicans who supported immediate action nearly 20 years ago, in a 1999 survey..."
How Corn Farmers Are Adapting to Climate Change. A post from ABC News caught my eye: "...U.S. farmers today harvest five to six times more corn per acre than their predecessors 100 years ago. Yields of other crops and in other parts of the world have also ballooned -- though not quite as dramatically. Despite a fast-growing human population, the number of food-deprived people around the globe fell year after year until 2014. After years of decline, that number has ticked up every year since. One critical factor is fickle weather, which remains largely outside of modern technological control. Farmers worldwide rely on temperatures warm enough to stimulate fast plant growth, but just cool enough to avoid parching crops. Many productive agricultural regions hover near that optimum, meaning small temperature increases could seriously stress crops -- especially if accompanied by drought..."
Is There a Connection to Extreme Weather Events and Our Warming Climate. Meteorologist Don Paul reports for The Buffalo News: "...In 2017, a deadly heat wave in southern Europe brought record triple digit highs for days to the Balkans and Italy, and debilitating nighttime lows in the upper 80s. The authors calculate such extreme heat waves are now three times more likely to occur than in the 1950s. Similar extreme heat is now more likely even in northeast China than it had been in the 1950s. Again, the stalled inland tropical cyclones, extreme rainfall events and more severe heat waves do have a tie-in to the decline in Arctic sea ice, as mentioned previously. The well-forecast arctic warming is now likely the cause for more common atmospheric blocking of systems like Harvey that normally move along, due to the weakened jet stream from the warming. And, the warming is giving such systems significantly more water vapor to work with, from more evaporation..."
The Southwest May Be Deep Into a Climate-Changed Mega-Drought. The Atlantic explores the implications of new research: "...According to research unveiled last week, mega-droughts may no longer be history. On Thursday, a team of climate scientists argued that the American West may currently be experiencing its first mega-drought in more than 500 years. A record-breaking period of aridity set in around the year 2000 and continues to this day, they said. “The last 19 years have been equivalent to the worst 19 years of the worst mega-droughts on record,” said Park Williams, a professor of bioclimatology at Columbia University, at a presentation of the work. Only three recent mega-droughts—in the late 800s, the mid-1100s, and the late 1500s—were worse than the current period, he added..."
Photo credit: "The current western drought has caused a huge increase in the land area burned by wildfires, such as this one in Fallbrook, California, in 2014." Sandy Huffaker / Reuters. What Pause? Weather and climate never (ever) moves in a perfectly straight line - more of a 'stair step' when it comes to warming across the planet. No, the warming hasn't "paused". Graphic credit: Greg Laden. Take Action on Climate, Most Americans Say: Headlines and links from Climate Nexus: "An overwhelming number of Americans support the idea of a Green New Deal, while nearly half of all Americans think climate change is severe enough to merit immediate action, two new polls find. A survey from the Yale Program on Climate Change Communications released this week finds that 81 percent of voters responded positively when shown a brief description of a Green New Deal, with 40 percent of voters "strongly" supporting and 41 percent "somewhat" supporting the idea. Meanwhile, a Wall Street Journal/NBC News poll conducted earlier this month finds that 45 percent of respondents called for immediate action on climate change--a record high on this question since the survey began in 1999, and up six percent from last year." (Green New Deal: Gizmodo, The Hill, Huffington Post, MPR. WSJ poll: Wall Street Journal $, CNBC). Using Penguin Poop to Track Changes in Climate. Sounds like a fascinating hands-on experiment. Gulp. Here's an excerpt from Mother Jones: "...Knowing what, and how much, five million breeding pairs of Adélie penguins are eating is important because it tells researchers how the base of the food chain is doing. The population of tiny krill appears to be crashing on the western side of the Antarctic peninsula, the 800-mile thumb that sticks up toward the tip of South America. Rapidly warming, changing climactic conditions as well as a huge increase in industrial-scale fishing, have taken a toll on these small crustaceans..."
Canada's Climate-Change Plans Are Stuck in Alberta's Tar Sands. Star Tribune looks at one Canadian province with a heavy reliance on fossil fuels: "...Even the most starry-eyed scientists do not imagine that Alberta can revamp its economy overnight. Oil and gas account for a quarter of the province's GDP, and will continue to be the largest slice for decades. The next two most important sectors, construction and property, rise and fall with the oil industry. But the reluctance even to face the need for change is worrying. "A lot of people think we've always been oil and gas and they don't think it's possible to pivot," said Terry Ross of the university's Schulich School of Engineering. For a province of horse-riders, that is a dangerous shortcoming." Photo credit: Jeff McIntosh • Associated Press. "Trucks carry oil laden sand in Alberta, Canada, where oil sands, also called tar sands, are found in an area about half the size of Colorado." Apocalypse Now. More like a slow motion death by a thousand cuts. WIRED.com has a post on cognitive dissonance: "...Most people, at this point, believe that climate change is a real thing that will harm future generations of humans. And yet, a cognitive dissonance exists around that knowledge and our sense of responsibility: A much smaller percentage of people believe that climate change is impacting them personally, according to Yale’s climate survey program. It is indeed impacting humans right now, with clear and compelling evidence that the global average temperature is much higher than anything modern society has experienced. And that has lead us to a whole host of issues, some of which WIRED writer Adam Rogers discusses with the Gadget Lab team on this week’s podcast..."